Cooking parsnips to encourage young children to ingest. The parsnip was steam cooked for about ten minutes then lightly browned in ghee (clarified butter) in the frying pan. It was then served with q sprinkling of soy sauce for flavor. The final product was most appetizing. 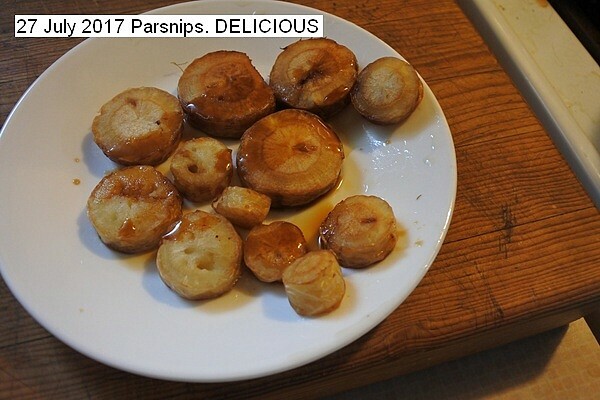 This entry was posted in Uncategorized and tagged 27 July 2017 Parsnips, Cooking Parsnips, Parsnips. Bookmark the permalink.